Here they are ... in no particular order. 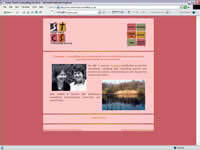 Training, counselling and supervision from accredited and experienced practitioners based in Glastonbury. 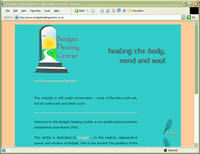 Healing for body, mind and soul in Glastonbury. The musical, magical world of Jana Runnalls, with her three-octave voice, and her partner Kat Brown with their dance band, WILD WOMEN. Traditional Bed and Breakfast in Glastonbury. 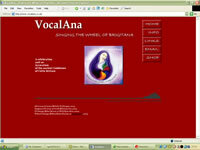 The Vocal Training Method of Jana Runnalls, a professional singer and voice coach with many years' experience.